Sharma said the review of past cases and discussions with officials in the matter shows that the Air has been a “hub of sexual harassment at workplace”. 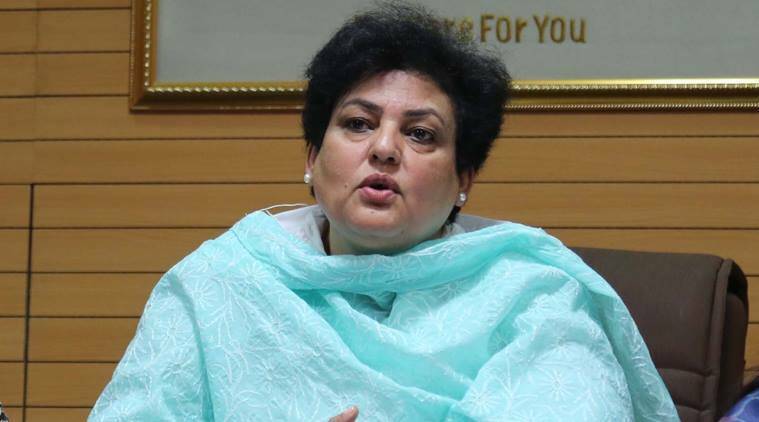 TERMING THE All India Radio (AIR) “a hub of sexual harassment”, National Commission for Women (NCW) chairperson Rekha Sharma has said that the Commission will constitute an inquiry team to look into the pervasive nature of sexual harassment in AIR stations across the country. The NCW has issued directives to the Prasar Bharati and the Ministry of Information and Broadcasting, asking them to submit a report on the issue as also on the “arbitrary termination” of the services of women employees who complained. In a letter dated November 15, addressed to I & B Secretary Amit Khare, Sharma asked for Khare’s “personal intervention in the matter”, directing him to revert to the Commission with a status report within seven days. The NCW’s letter dated November 14 to Prasar Bharati CEO Shashi Vempati states that the matter has already been brought to his attention by the workers’ union on October 28 and he should report to the NCW on action taken within 15 days. Queries on the issue, sent by The Indian Express to both the I&B Ministry and Prasar Bharati CEO, went unanswered. The Indian Express reported on Thursday about Woman and Child Development Minister Maneka Gandhi asking the I & B Ministry to initiate a probe into the matter following a letter from AIRCACU last week. The report also highlighted cases from Madhya Pradesh, Uttar Pradesh, Himachal Pradesh, and Haryana where the female casual employees who objected to the sexual/mental harassment paid with their jobs while the accused men, all permanent staffers, went scot-free.